Dr. Benko, Sr. was born in Brooklyn, New York, and lived there until the family relocated to Pennsylvania. Once here, Dr. Benko attended Seven Sorrows elementary school and Bishop McDevitt High School. Dr. Benko completed his undergraduate studies at LaSalle University in Philadelphia, and continued to the University Of Pittsburgh School Of Dental Medicine to complete his education. He served as a Captain in the dental corps of the 316 State Hospital Army Reserve for 4 years, followed by serving 4 years as a Captain in the dental corps of the PA National Air Guard 192. Dr. Benko is a past president of the University of Pittsburgh Central PA Alumni Associates, and past president of the Central PA Golden Panthers. Opening his first practice in Middletown in 1969, Dr. Benko has served Middletown, Elizabethtown, and the surrounding communities for 40 years. Dr. Benko and his wife, Debbie, enjoy spending time with their granddaughters Jackie and Abby; daughter Rebecca; and son Dr. Michael Benko, Jr. When not in the office, Dr. Benko enjoys float fishing on the Yellowstone River and its tributaries, and hunting and hiking the Beartooth Mountains in Montana. 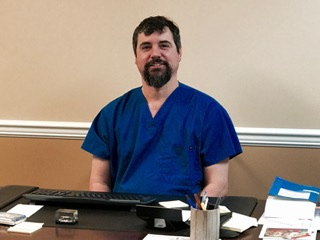 Dr. Benko, Jr. was born in Londonderry township and is a Lower Dauphin graduate. Dr. Benko, Jr. attended the University of Pittsburgh for both undergraduate and graduate studies. 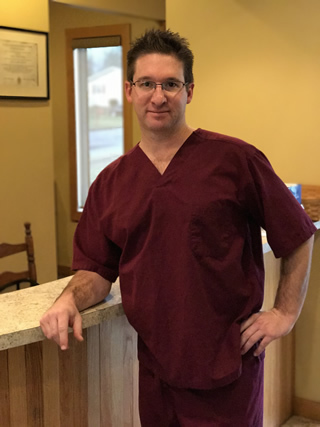 Dr. Benko, Jr. graduated dental school in 2001 and has been practicing in central Pennsylvania ever since. Dr. Benko, Jr. is married to Dr. Kathleen Benko, who is also a graduate of the University of Pittsburgh Dental School. As a family with two young daughters - Jacqueline and Abigail - the Benkos enjoy spending time with family in New York state and the shore points in Delaware. Dr. F. Reed Mask was born and raised in Jackson, Mississippi. Attended the University of Mississippi and graduated with a Bachelor of Arts in Biology and a Bachelor of Science in Biology in 1997. Attended the University of Pittsburgh School of Dental Medicine and graduated with a D.M.D. in 2001. While attending Pitt Dental, Dr. Mask served as President of the Delta Sigma Delta dental fraternity from 2000 to 2001. After graduating dental school, Dr. Mask served the Elk County, Pa, area for four years. Whilst there, Dr. Mask met his wife Jennifer of Ridgway, Pa. 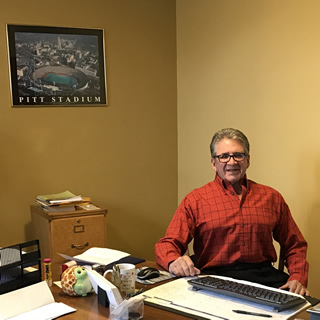 Soon after meeting his wife, the couple moved to Elizabethtown, PA and joined Benko & Benko Associates in the fall of 2005. Dr. Mask has served the greater Elizabethtown and Middletown areas for the past eleven years. Currently Dr. Mask enjoys spending time with his daughter, Alayna; son, Landon; and wife, Jen. Dr. Mask also enjoys golfing and cheering for his favorite college sports team, the Ole Miss Rebels.